Posted 10:38 am by Rena Anya Devéza & filed under Alexander Technique, torn meniscus. This blog was supposed to be a journal of my training to be a teacher of the Alexander Technique. However, my training is on hold. At this time I am not even taking lessons. So now I’ll have to write about how I am using my AT experience to help me get through the greatly reduced, everyday activities that I can manage in this post-operative moment. I find that I’m using a modified position of mechanical advantage, aka a monkey, well, in my case half a monkey half a lunge. I’m specifically referring to a modified monkey, a lunge monkey. In the photo of FM you can see him doing what I sort of do. One leg is bent while the other leg is not. So here are some of the ways I am using this lunge monkey to get over physical movement obstacles that I normally do not think about. Now I have to think about how I am going to move all the time. I must be slow and deliberate. No fast, unthinking actions. Those give me a reality check immediately! Ouch! 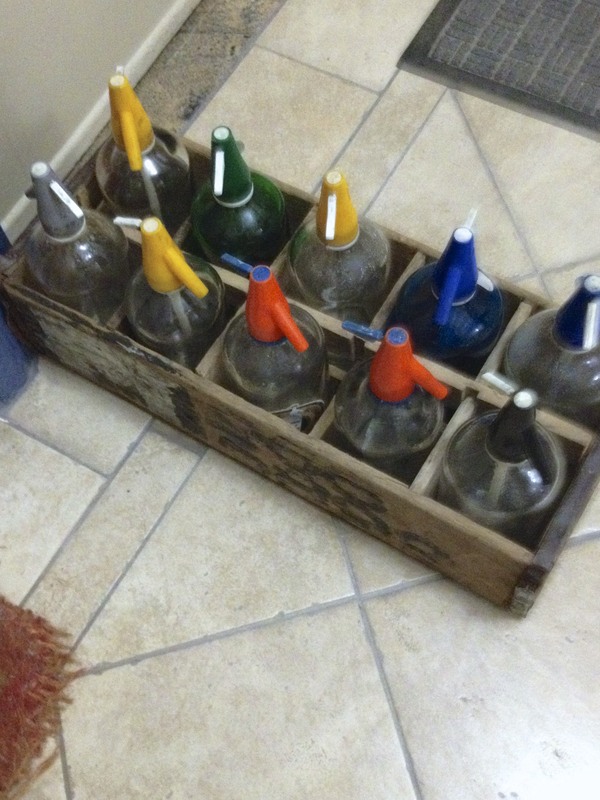 First of all, I had to put the case of empty seltzer bottles outside of the door. The seltzer man was delivering a new case. Swap out time! I had to move the wooden box and the bottles one by one. Hey…I couldn’t do that the other day! I talked about feeding Doucette the cat. Let me add to that…cleaning out les toilettes for her. This, of course, is a daily necessity. Actually when I, myself, have to make use of les toilettes I definitely inhibit and direct. Very important this. One of the all-time funniest moments I ever had in a lesson was a chair demonstration by my teacher of how I was to manage. I was on the table when I watched his demonstration. I was laughing/crying so hard at his punch line informing me of what he had just mimed as he sort of plopped onto the chair. Oh the things I am writing about! But important stuff none the less. I blame my teacher for the previous revelation. It’s his fault! (Big smile here). Back to Doucette: I have to clean up her humongously long hairballs. She eats plants and then has to purge. She very nicely deposits her five inch-plus long hairballs on the floor. Easy to clean up…even now. Getting in and out of the shower gracefully. This situation is a must-think! Oh it is so lovely to stand under the hot water for a long time! Ahhhh! Especially now. Putting on my various sorts of pants. Not easy. Setting up my step stool and then stepping on it to get stelline pasta from my cupboard to add the homemade chicken soup my neighbor brought over. That was a hard one. I had to really pay attention! I decided that I have to play and listen to lots of Bach. I think it will do my knee a world of good to be exposed to a mega-amount of Bach vibrations. So I’m playing the E major sonata and listening to Barthold Kuijken do the same on baroque flute. I have to play in an unfamiliar posture. I’m sitting with my left leg extended. So…must think about my use of self constantly when playing right now. I went down into the lobby to get my mail. There are a few steps down. I took the cane they gave me after the surgery. I cannot walk down steps normally. I have to place one foot on a step, and then the other on the same step. I cannot wait for the moment when I get myself comfortably into a real monkey so I can do hands on back of chair or on table while standing! I think that this will be later rather than sooner. Wonderful, Rena, how you turn what one could look at as a disaster into an opportunity for AT work. Brilliant. I experienced something very similar when I had a fall and broke my shoulder, one year after qualifying. It was an opportunity to develop a much better relationship with the floor! And to learn to walk. And to deal with the fear. And the need to have to fly everywhere…. I send my best wishes to you! Thank you so much for your comment Magdalena! It’s always a comfort to find out that others have gone through similar situations. “The need to fly everywhere…” indeed…not happening now! Neither for me, Rena! I dropped the need to fly! i am happy to float now, and to feel the support of the floor under my feet. Enjoying it. You will be enriched by your experiences! And I, Magdalena, am happy to take it slowly! I feel like I’m appreciating the technique on a whole different level than before!